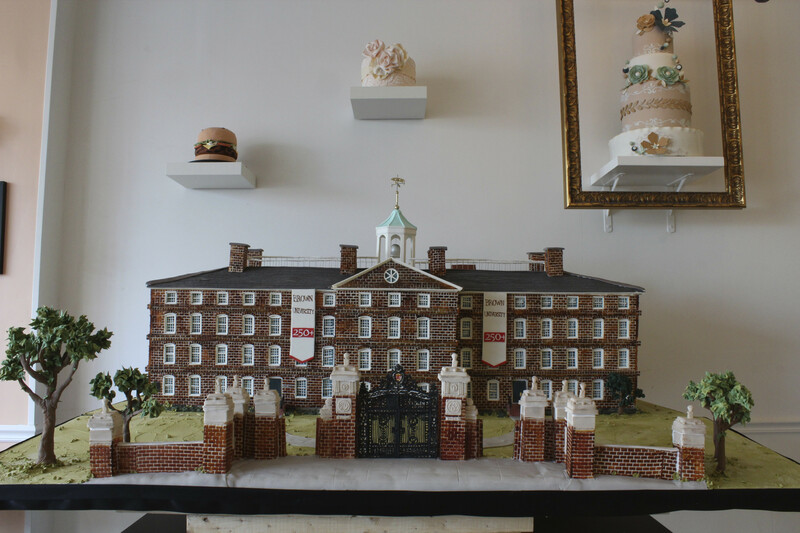 It’s been a month now since we completed the enormous replica cake of Brown University’s University Hall. Enormous was an understatement as it feed 1,300 people and weighed about 500-600 lbs. We’ve finally compiled our photos and fun facts for this cake to share with you. You forgot the part about the world’s press taking notice, starting with the UK’s Daily Mail. Beautiful…..must appreciate the hard work. Out of curiosity. How much would a cake of that magnitude run you?